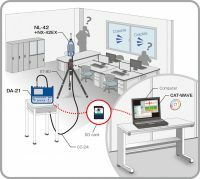 The NA-28 option program card enables easy measurement of airborne sound, floor impact sound insulation performance, and N/NC values, as well as reverberation time. 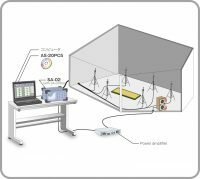 Use the multi-channel frequency analyzer SA-02 to make airborne sound and floor impact sound insulation performance measurements and output evaluation values. 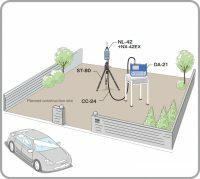 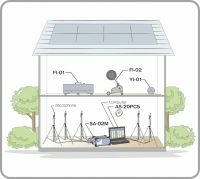 Noise measurement is carried out on an intended building site to determine sound insulation requirements for external peripheral walls. 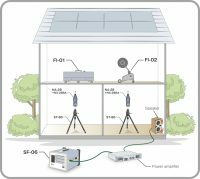 Measure the difference between sound pressure levels on the outside and inside of external walls or windows of the building. 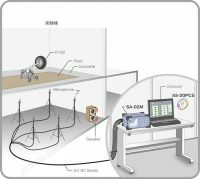 This is a measurement system configured around the SA-02, suitable for floor impact sound pressure level measurements compliant with JIS standard requirements. 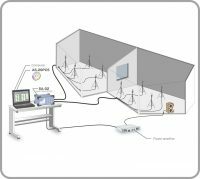 Because measurement is performed at multiple points simultaneously, measurement times can be kept short. 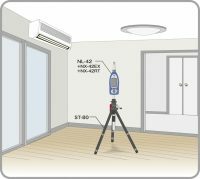 To determine the incident sound absorption coefficient, the sample is placed in a reverberation room and the SA-02M is used to measure the reverberation time. 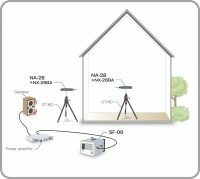 The frequency analyzer SA-02M and the airborne and floor impact sound insulation measurement software AS-20PC5 are used to measure the sound reduction index of sound insulation material or building material in a testing room. 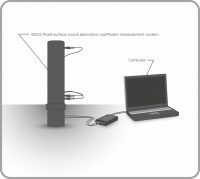 The road surface sound absorption coefficient measurement system allows ISO compliant sound absorption measurement for road surfaces.